Night Atlas is about getting lost in the late-night shadows of a city. Windows are dark save for the occasional blue flicker of fluorescent tubes as some lone worker tolls through the evening. Bright neon glows against the black sky. Car tail lights stream down the street. The dim sidewalk is empty. 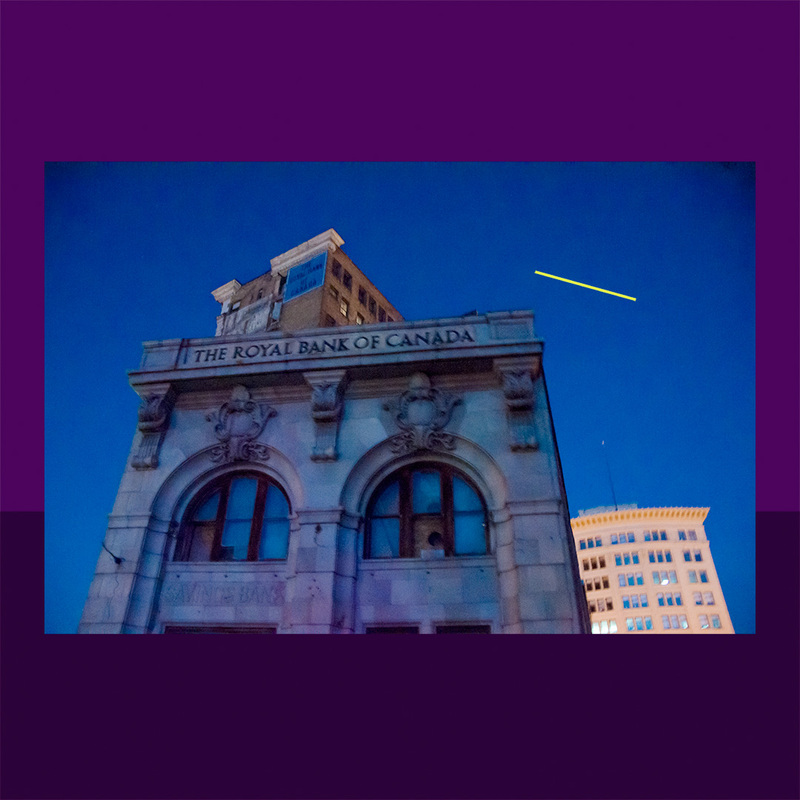 This is the tale of night walks through four unique cities: Winnipeg, Chicago, Regina and Minneapolis. Walks filled with ambiguities as I randomly wander down streets and back lanes, chasing lit windows or bright signs. Journeys documented in blurry streams of colour. Silent progress mapped with precise satellite breadcrumbs, later to be stripped down to mysterious white strings on dark, dark backgrounds.